By Emma Kelly | May 11, 2010. With dole queues lengthening and everyone’s funds dwindling, three week holidays on a Caribbean cruise are probably a bit out of reach for most people this summer. However, there is a reliable alternative for a fun summer experience – take a trip to any of the great music festivals on offer. Whether you want a bit of fun in the sun or a mad time in the muck, there’s plenty of choice for music lovers this summer. You don’t have to travel too far for a world-class festival, with Oxegen taking place at Punchestown from the 9th to the 11th of July. 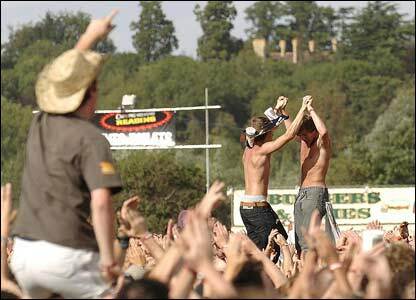 2010’s line-up is one of the most eclectic of recent years, being headlined by Muse, Arcade Fire and Eminem. 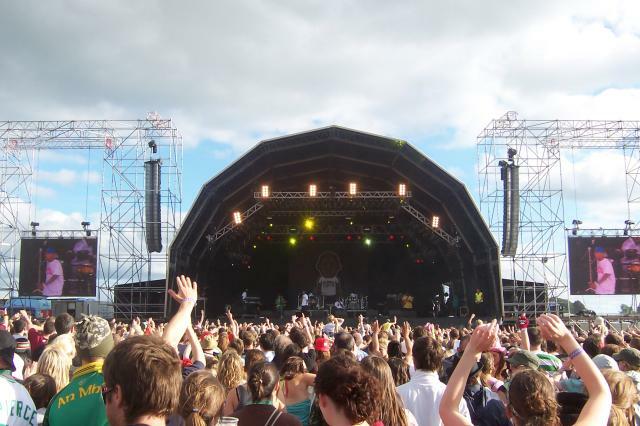 Also taking to the stage are Florence and the Machine, Fatboy Slim, Jay Z, the Black Eyed Peas and The Prodigy. 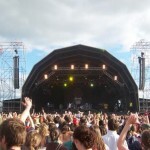 Pros: Oxegen has always offered a wide variety of acts, so there will be something for everybody. Cons: If you’re a fan of the more rock ‘n’ roll Oxegens of years gone by (which featured Rage Against the Machine, Blur and Kings of Leon), the additions of hip-hop heavyweights Eminem and Jay Z may not be to your liking. 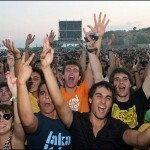 All the cool kids will be heading to Stradbally, Co. Laois for the Electric Picnic from the 3rd to the 5th of September. Roxy Music will be headlining, with Mumford and Sons, Bloody Beetroots, Massive Attack, Imelda May and the Frames also added to the bill. Pros: If you can’t handle the onslaught of mud at Oxegen, the much cleaner and generally friendlier Picnic could be for you. Also, unlike many festivals, young children can attend, meaning the whole family can tag along for the experience. Cons: This year’s line-up has yet to really impress, with no real must-see acts announced so far. And if you only want to attend for one day, you’re out of luck, as single day tickets are unavailable. If you like your festivals with lashings of sun cream, then Benicassim, from the 15th to the 18th of July, is definitely for you. 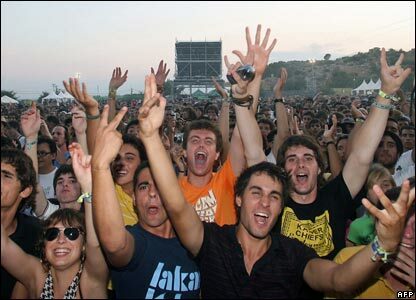 Situated in C in Spain, this sunny festival boasts a line-up featuring The Prodigy, Vampire Weekend, Kasabian and Dizzee Rascal. Pros: While revellers in Ireland will most likely spend a great deal of their time being drowned by summer showers, you are guaranteed a weekend of scorching sunshine at this festival. Cons: While tickets are relatively well-priced at €185, you will have to shell out for flights and trains to and from the site. If you like the sound of seeing Guns ‘n’ Roses, Arcade Fire, Blink 182, Paramore and The Libertines in the same weekend, then Reading or Leeds may be the festival for you. Taking place on the August bank holiday weekend, day tickets are still for sale, although weekend passes have already sold out. Pros: The line-up so far is definitely impressive, with rock legends Guns ‘n’ Roses headlining and The Libertines performing on the Saturday for the first time since reforming. Cons: Because weekend tickets are sold out, it will be very hard to choose which day you want to attend, which will also work out as quite pricey- £75 for a day ticket- as well as flights and transport. 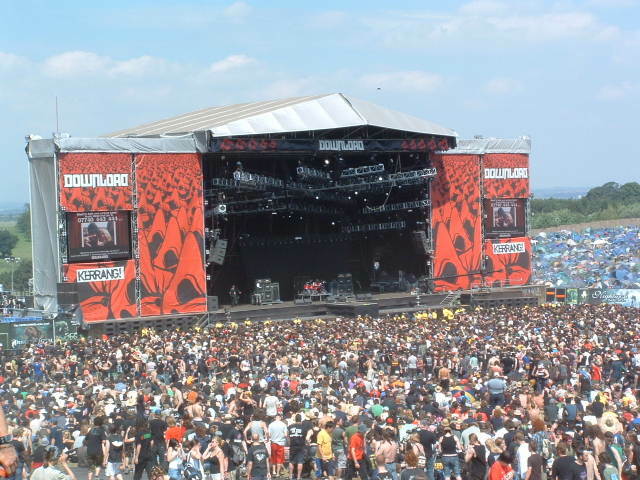 Any rock fans will not want to miss the Download Festival in Donington Park in the UK, which takes place from the 11th to the 13th of June. 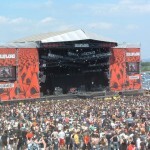 Acts already announced include Aerosmith, AC/DC and Rage Against the Machine. Pros: The line-up is pretty good so far, and with 5 day camping tickets costing £180, it’s quite cheap to see some of the biggest rock bands of all time. Cons: If you’re not really into rock music, there aren’t really any alternatives for you to go see. So unless you’re ready to head bang, this festival probably isn’t for you. Also taking place from the 11th to the 13th of June is the Isle of Wight Festival, which features sets from Paul McCartney, the Strokes, Jay Z, Blondie, and Florence and the Machine. Pros: The Isle of Wight Festival has one of the best line-ups of any festival this year, and with weekend tickets only £150, it’s well worth it, considering you would be paying up to €150 to see just Paul McCartney in the RDS! Cons: You’ll have to put a good deal of thought into your travel plan, as you will have to get ferry tickets to the isle, as well as flights to England.